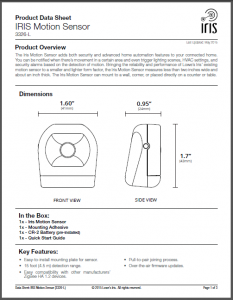 Setup instructions for the new, unreleased Door, Window, and Cabinet Sensor. A new Iris Contact Sensor is coming! Last week we dug through a pile of recently filed FCC documents revealing some insight into what lies ahead for Lowe’s Iris. What we did not report at the time was the discovery of a new Iris Contact Sensor is being developed to replace the current contact sensor. 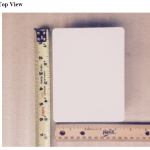 This new contact sensor is reported to be a little smaller in size compared to the current device; the transmitter measures in at 0.8″ wide x 2.50″ tall x 0.75″ thick while the magnet comes in at 0.45″ wide x 1.75″ tall x 0.56″ thick. This revised contact sensor will be powered by a single CR-2450 lithium coin battery with an estimated life of 2 years. One detail not clear is that unlike the existing sensor, the document does not specify if the revised model retains the temperature sensor. 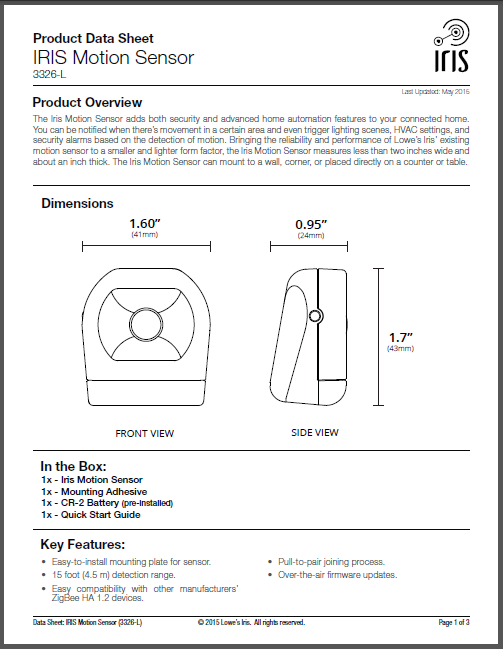 The package will include the Iris Contact Sensor with pre-installed CR-2450 battery, magnet assembly, 2 pieces of mounting adhesive, and User Guide. As with the other newly discovered devices the new contact sensor has a feature referred to as Pull-to-Pair, where removing a plastic tab from the battery compartment is all that is required to complete the initial setup and pairing. Another interesting change spotted in the documentation is the use of a Hall Effect Sensor as a replacement to the reed switch used in the current contact sensor. This is a significant design change that eliminates the use of moving parts which is important for long term reliability. New Iris Smart Button Uncovered! 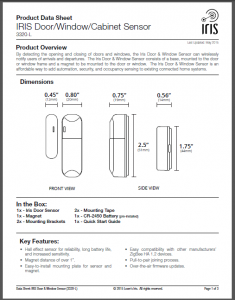 Setup instructions for the new, unreleased Smart Button. A search of recently filed FCC documents has revealed that a new Iris Smart button is in line to replace the current Smart Button. 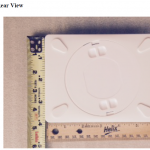 This new Smart Button appears to be smaller than the current device measuring in at 1.75″ wide x 1.75″ tall x 0.57″ thick. It will be powered by a single CR2450 battery but like the old Smart Button, the new one retains the temperature sensor. 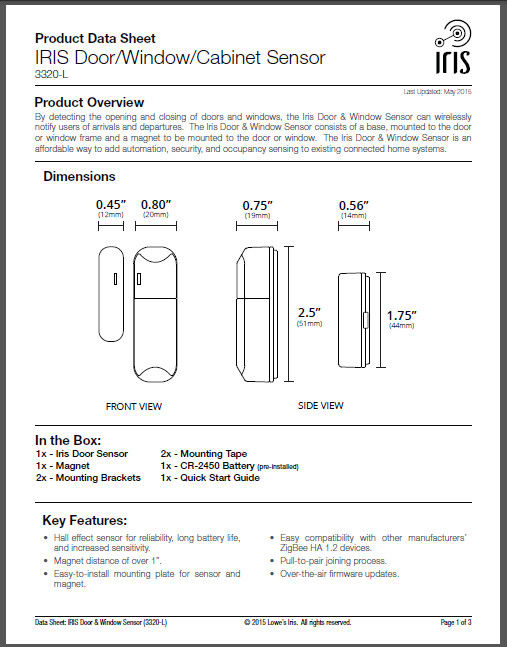 The package will include the Keyfob, pre-installed CR2450 battery, Mounting Bracket, Mounting Adhesive, and User Guide. One interesting feature of this new device is referred to as “Pull-to-Pair”, where removing a plastic tab from the battery compartment is all that is required to setup the device. No more taking the device apart to install the batteries! The documentation refers to the use of the Smart Button to trigger “Welcome and Goodbye scenes”, including turning devices on and off and setting the thermostat. Perhaps this is an indication that Iris may at last gain a concept of scenes that have long been available in other home automation platforms? No word yet on when this will be released, however if the recent reduction in pricing for Iris accessories is any clue it may be some time while existing stock is closed out. 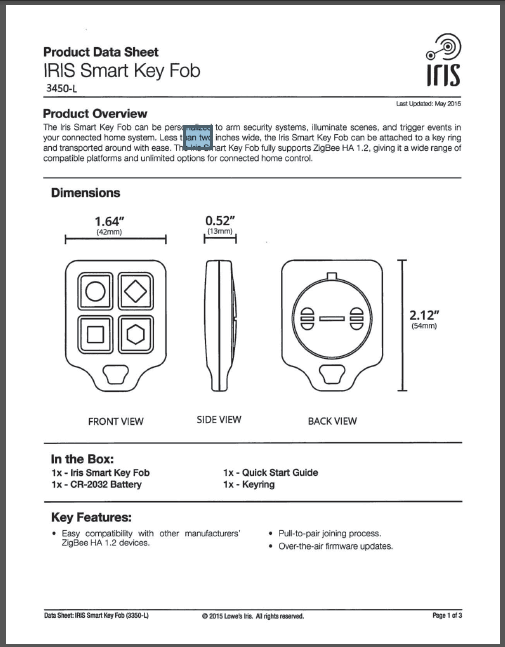 A search of recently filed FCC documents has revealed that a new Iris Keyfob is in line to replace the current fob. 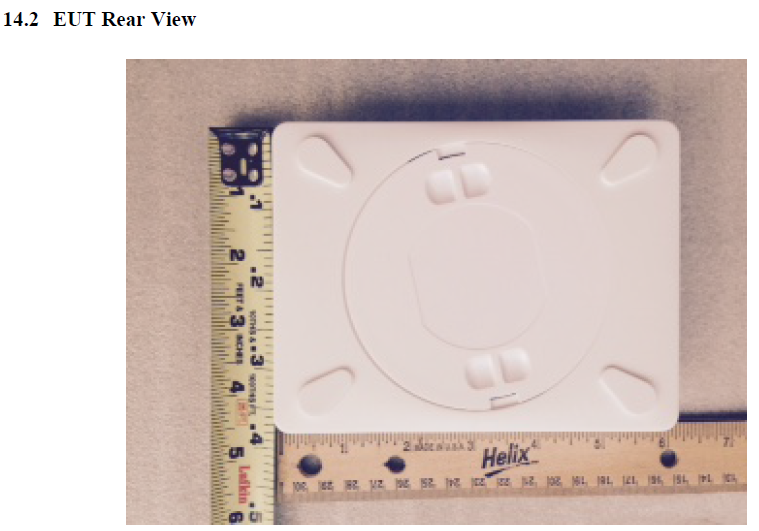 The new 4-button keyfob appears to be very small, 1.64″ wide x 2.12″ tall x 0.52″ thick. It will be powered by a single CR2032 battery. No further information is available as to what the functions of the buttons will be. 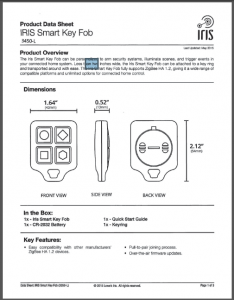 The package will include the Keyfob, CR2032 battery, Keyring, and User Guide. At last, recently published FCC documents have revealed what the new Iris hub is going to look like. They even give some insight into some of the new technologies that are going to be in it. 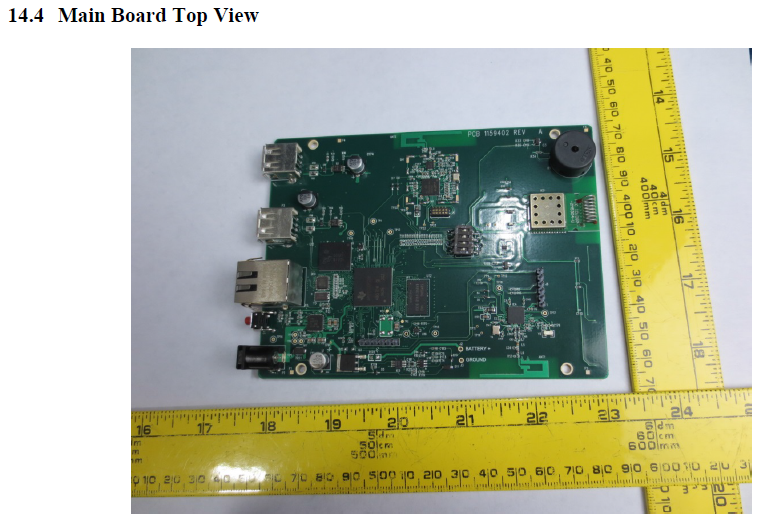 Our initial investigation of FCC documents indicates the new hub will contain as many as 4 USB ports and will have a built-in Bluetooth Low Energy radio. User guide submitted to FCC. 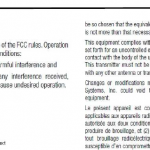 As part of the submission process to gain FCC approval for electronic devices a manufacturer must submit various forms of documentation. 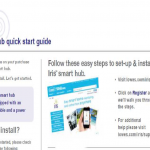 In their submission to CentraLite on submitted a Lowe’s branded user setup guide. And on the second page of the setup guide is the FCC ID for the new hub. Every electronic product manufactured receives an FCC ID number after the completion of the testing and approval process. Top of the new hub Iris hub chassis. 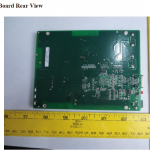 Along with the submission were various photos of both internal components and the external chassis. The view from the top offers little speculation, but it shows that the new hub will be a little smaller. 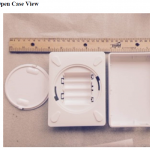 Bottom of the new Iris hub case. 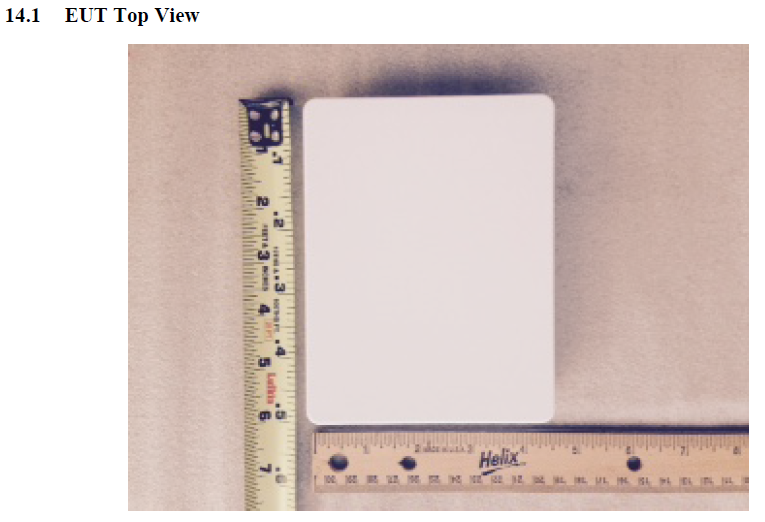 The view from the bottom shows a curious Apple Mac-Mini-style cover. This is likely how the batteries will be accessed. Internal view of the new Iris hub chassis. Gone is the battery pack that Iris hubs use today. 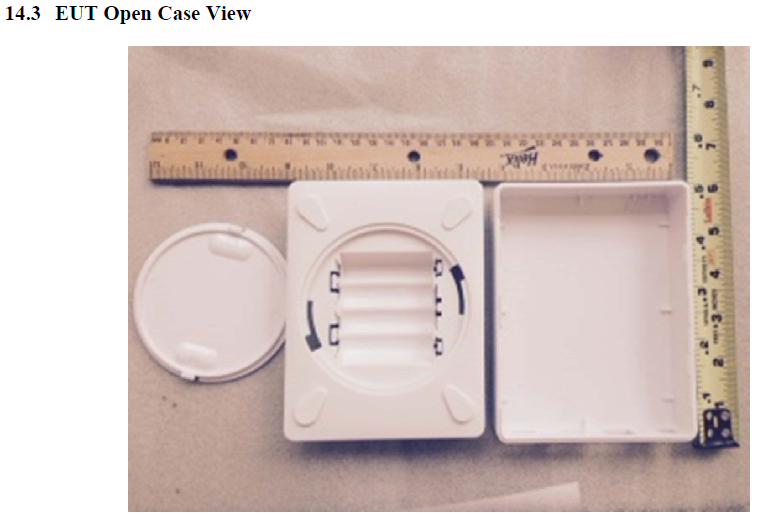 The battery compartment appears to be sized to hold standard AA batteries. Top view of the new Iris hub motherboard. 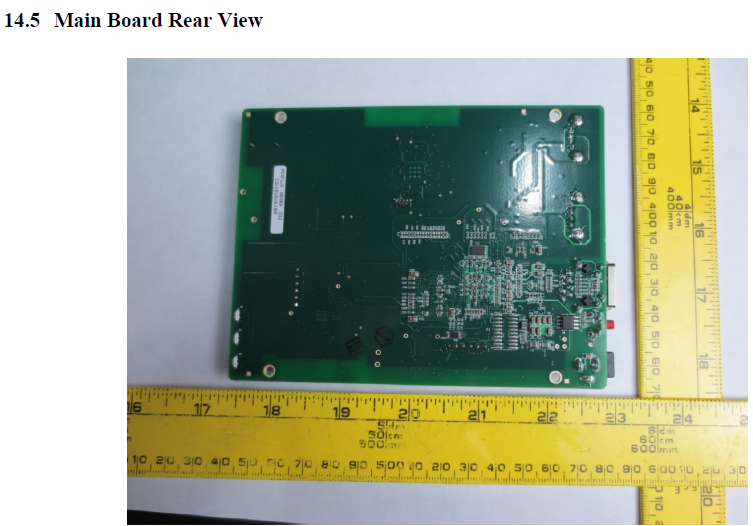 The printed circuit board looks nothing like the original hub further confirming the long suspected rumor that AlertMe is parting ways with Lowe’s. Of particular interest is that there appear to be 2 USB risers that may contain 2 ports each. Four USB ports in the new hub would be a very useful change! Bottom view of the new Iris hub motherboard. The bottom of the printed circuit board shows nothing of any interest. 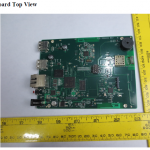 New Iris hub during Bluetooth Low Energy (BLE) testing. And most the most interesting find of all is the revelation that the new hub will in fact contain Bluetooth Low Energy (BLE) technology. 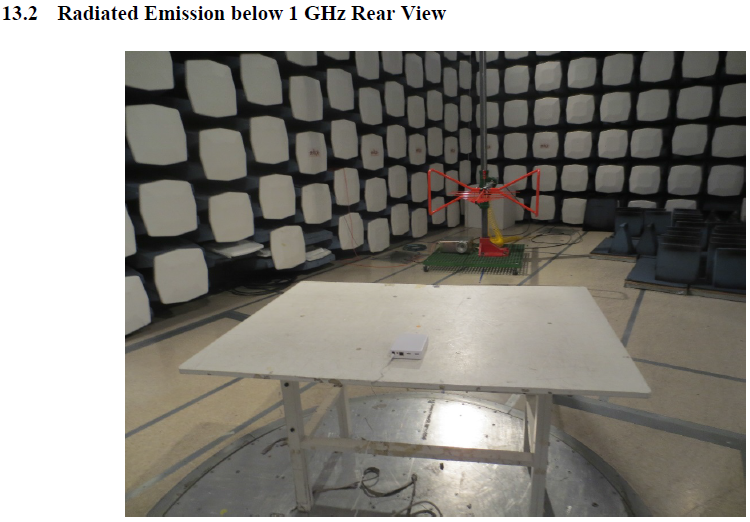 This photo is from the BLE test setup. 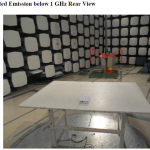 A similar looking photo was published from the WiFi test setup. Of course these photos just cover the hardware. 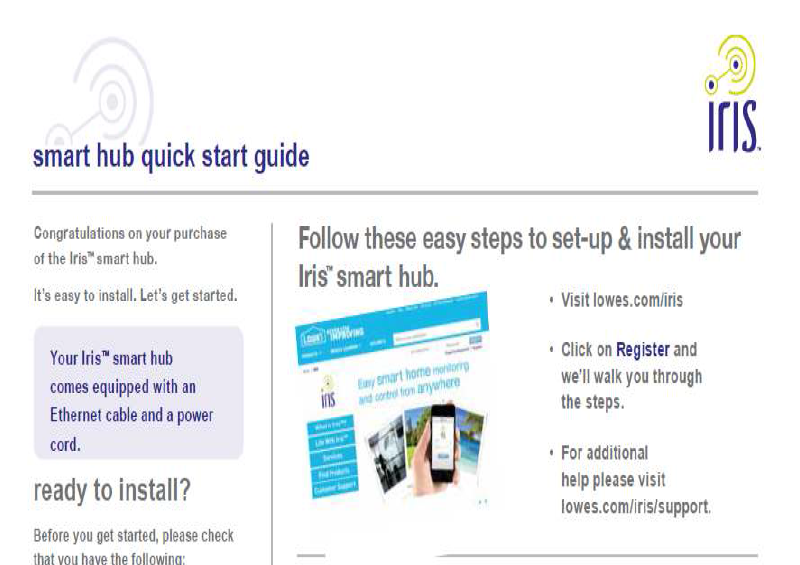 Nobody outside of Lowe’s knows what new features that Iris will gain. We will continue to monitor the FCC databases and our other sources for new information.